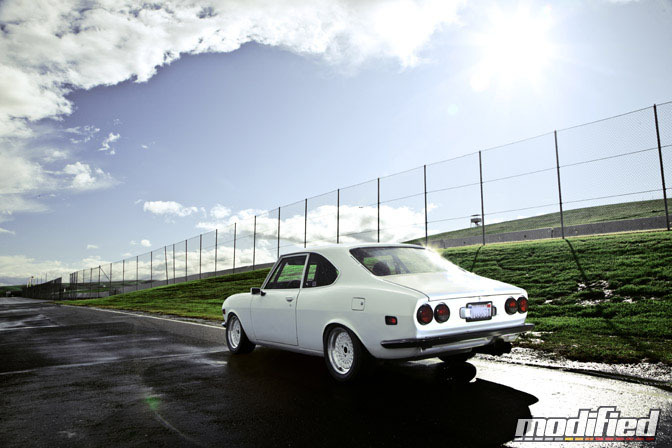 Bob Maywell, the owner of this Mazda RX2 isn’t your typical enthusiast, he is well beyond what the average person would consider a gear head. 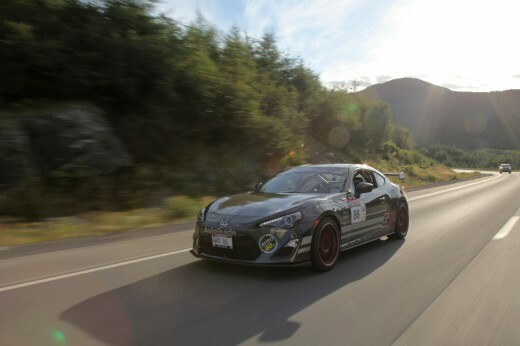 Bob is in his mid 40’s and loves racing and cars so much that he actually works at Thunderhill Race Track full time. He has more stories about race cars then most of us have years on this planet. 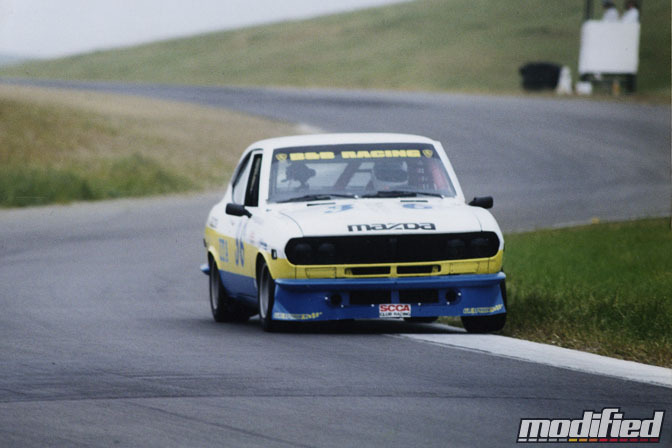 He also has logged many miles (and races, over 75 to be exact) around the race track, rain or shine, in his trusty RX2 which Bob has owned for over two decades. While we were shooting Bob’s RX2 a torrential downpour hit and we thought that would end our day since the risk of driving such a vintage machine on a slippery race track would deter Bob, but without any hesitation he was out there ripping past us and even sliding the rear end out a few times. 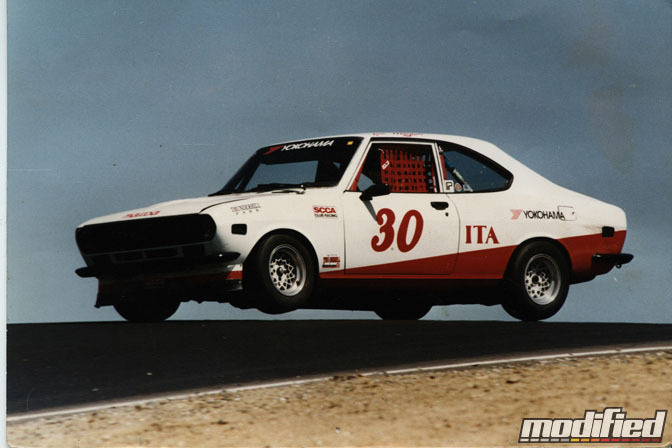 Years back this is what the Mazda RX2 looked like in race trim. You can’t help but admire the livery. Another example of livery that once dawned this RX2 but no matter the exterior it’s always consistently been driven hard. Here it’s lifting a wheel over the infamous turn 5, the Cyclone. Despite the RX2 hailing from the 70’s it’s been modernized with various parts here and there. Take the headlights for example, the new brighter units add a nice new car feel to the exterior but also improve visibility by quite a bit. 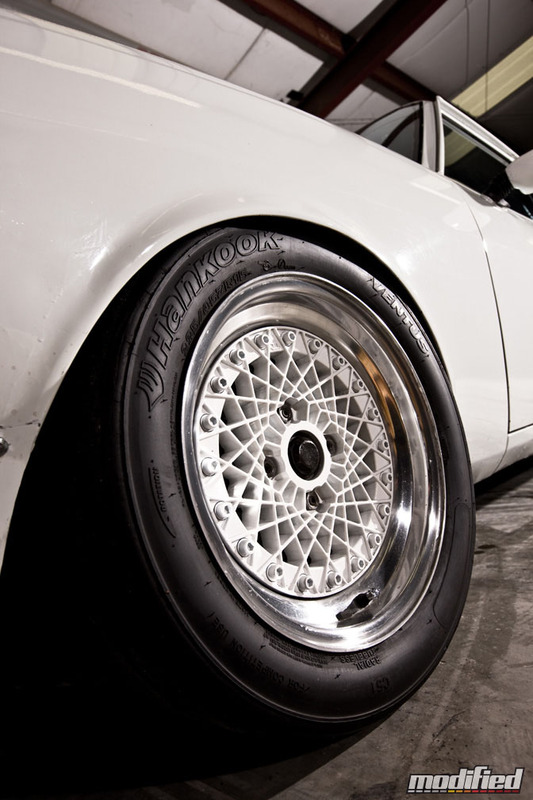 By far the coolest and most striking part of the RX2 are the 15-inch color matched mesh wheels on Hankook tire slicks. Its current engine setup is a JDM Mazda 12A turbocharged rotary that Bob assembled and built himself. 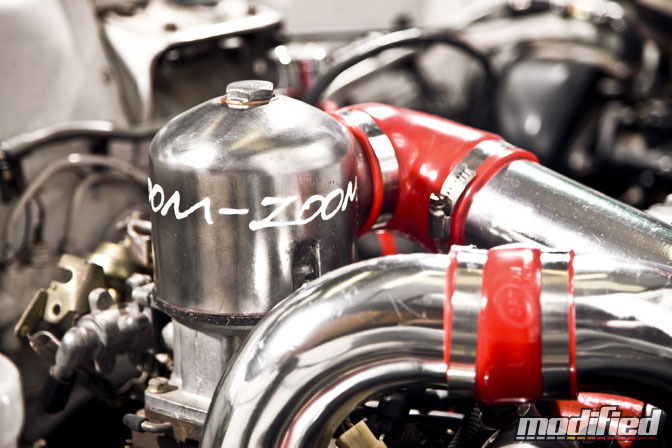 Zoom-Zoom indeed, the 12A rotary packs quite the punch in the lightweight RX2 chassis. Forget fancy gauges and bucket seats, the interior defines function over form. A pair of Honda Del Sol seats with four-point harnesses hold Bob in while a roll cage keeps the tired chassis from the stresses of body flex. 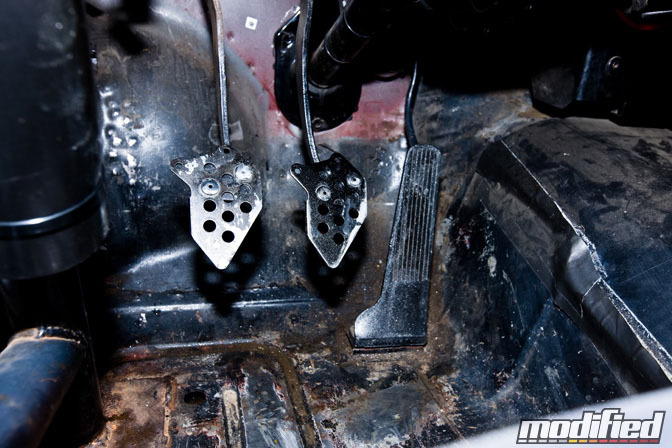 Two decades of hard use define the character of these pedals that have seen more then their fair share of abuse. Money can buy you bling parts but wear and tear like this needs to be earned. 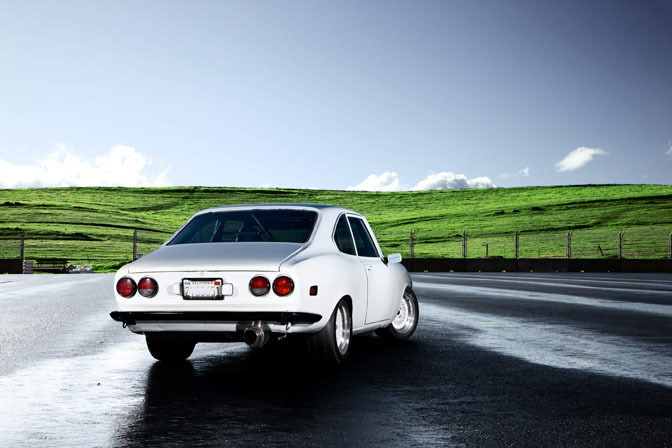 Bob’s RX2 may not be the prettiest car out there but what it lacks in the looks department, it makes up in character and the memories that Bob shares with it. That’s something that we can all strive to achieve with our own automobiles and one day look back and smile, as Bob does every time he talks about his automobile. Well, its amazing. The miracle has been done. Hats off. Well done, as we know that hard work always pays off, after a long struggle with sincere effort its done. Had I known at the time (1989) that this car would have been a sought-after classic, I would have kept mine. Dang. My pick/vote for Car Of The Year! Amazing feature, would love to hear and read some more about the car and the races! 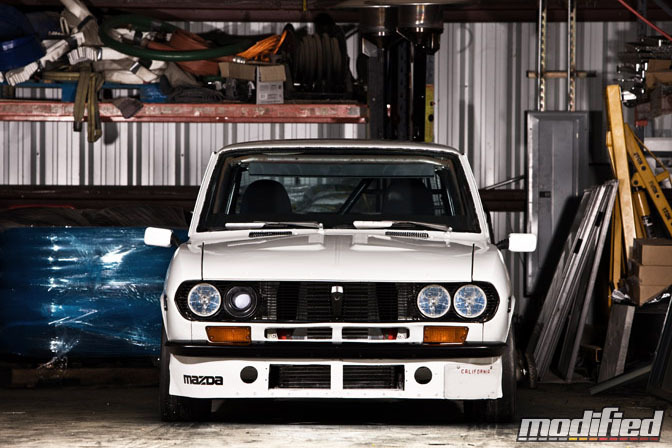 Awesome pics and what a great car, they just dont make 'em like that anymore and its such a shame. the best car feature in this site yet! This is the sickest car. Ever. if he was bothered to change the outside and engine why didnt he change the inside?? i like the "race" look for the inside but seriously...update it abit i think! 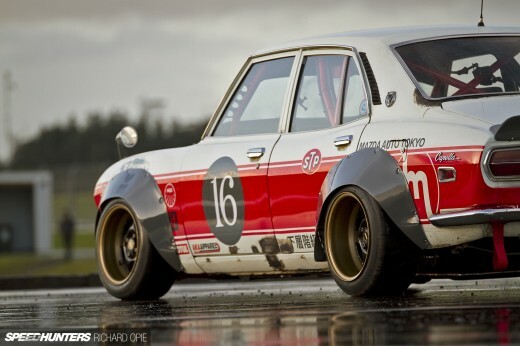 love the look ans stance of this Mazda RX2, not a car that i actually remember but this looks like a nice example - love the shape of those foot pedals.. Awesome! love the 2nd to last pic and the wording that goes along with it. Nice to see vintage cars driven HARD!! Nice work Peter, more classics in Modified!!! Very nice 2 coupe, great to see the 12a turbo powering it. great motivation thats for sure. Thank you a million times for doing an RX-2 feature finally and i'll repeat what the others have said, best car posted here yet. Awesome. need more classic mazdas i reakon we love them down here in nz! much respect to you bob. and peter, how was it trying to keep up with him? what kinda chase car did you use while you were up there? Gotta love mazdas. There's just something about them that makes you never let go.